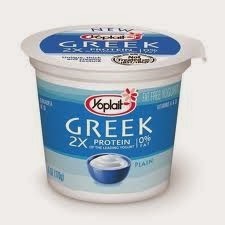 Nonfat plain Greek yogurt has become a must have item in my refrigerator. I use it in place of sour cream and even mayonnaise in most recipes. Plain Greek yogurt tastes very similar to sour cream, but includes the added benefit of live and active cultures that aid in digestion (and weight loss!). 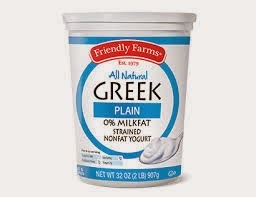 When comparing plain nonfat yogurt to plain nonfat Greek yogurt, the plain Greek yogurt has more protein and less sugar with about the same number of calories. That sounds like a nutritional win to me! 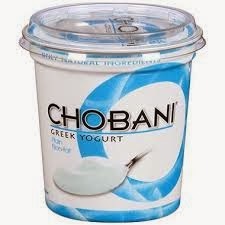 Greek yogurt is strained more than regular yogurt giving Greek yogurt a thicker consistency. The extra straining removes some of the calcium from Greek yogurt, however both types of yogurt are still considered good sources of calcium. Greek yogurt is also generally more expensive because more milk is required to produce it. However, it can be found at Aldi for $3.89 for a 32 oz container making it only $0.12/oz. 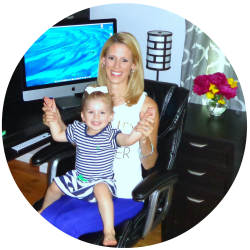 Of course prices can vary by region. (1) Mix with herbs and to create vegetable dips. Great herb mix-ins include garlic powder, dill, onion powder & parsley. (2) Use on baked potatoes instead of sour cream. (3) Add as a topping for taco dishes instead of using sour cream. (4) Use to make the crust of these Pizza Pinwheels from Recipe Girl. (5) Mash with boiled potatoes, milk and garlic powder to make creamy garlic mashed potatoes. (6) Use in place of mayonnaise in this recipe: The Very Best Fish Recipe Ever from Living Well Spending Less. (7) Use in place of mayonnaise and sour cream in tuna noodle casserole recipes. (8) Create a fun snack the kids will enjoy by mixing with pumpkin puree, cinnamon and sugar. (9) Replace all or a portion of cream cheese with Greek yogurt in these Chicken Chimichangas from My Fridge Food. (10) Add melted chocolate or cocoa powder and powdered sugar and use to frost a cake or as a yummy fruit dip. What is your favorite way to use plain Greek yogurt? Do you have a use that I haven’t listed above?